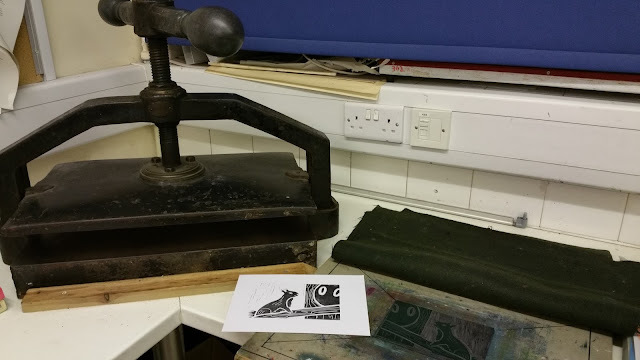 Last autumn I enrolled on a print-making course. I began with the brilliant idea of producing my own illustrations for one of my picture-book texts. 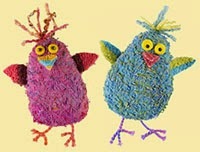 Unfortunately as the course has progressed my brilliant idea no longer feels quite so brilliant! I've begun to wonder if it's still logical to use traditional printmaking techniques in the digital 21st century. Traditional printmaking allows multiple prints of the same image, but this isn't necessary as picture books use digital printing. Even so, different printmaking processes also have identifiable visual characteristics. Plus there's the bonus of looking handmade which is a quality that's become appreciated since we've become saturated with uniform digital images. 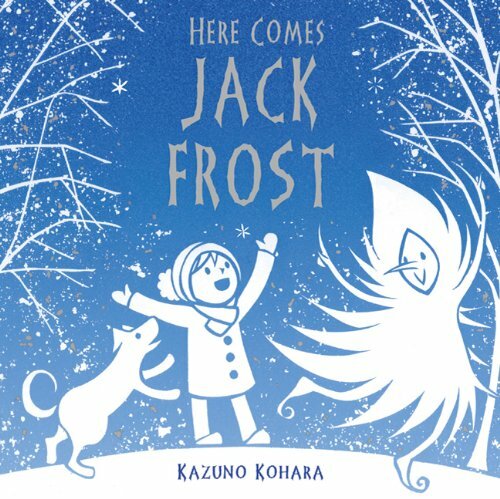 Therefore maybe there is a niche for picture books that use traditional printmaking? 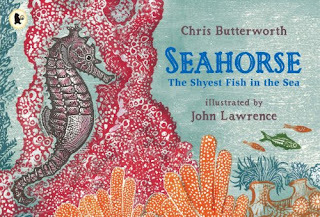 Or perhaps traditional printmaking has been adapted by illustrators? 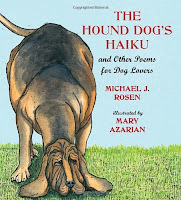 In this blog post I share my musings and picture book research. I've concentrated on just two types of *relief printmaking (*where ink is applied to uncut, raised areas). I've tried to make techniques clear for those who know nothing about printing; and for those of you who are experts please feel free to correct me! 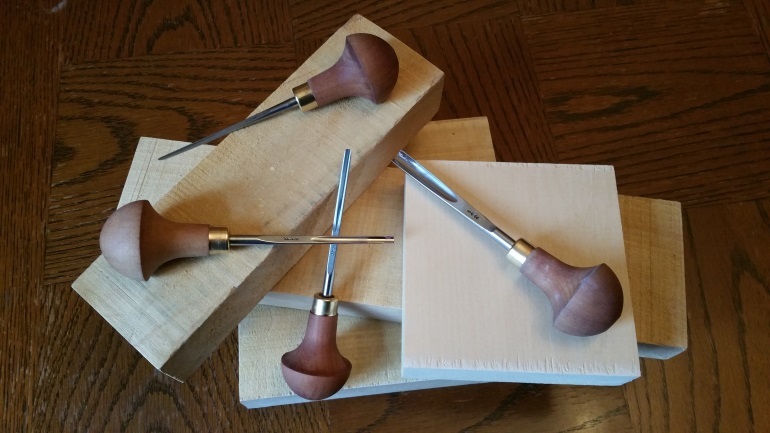 Wood engraving is a long-established traditional method of relief printing. The wood is carved and the ink is rolled over the raised areas of wood and a print is then taken. These images are from a 1987 prospectus produced by Macmillan Publishers which offered limited edition prints from the original 19th-century engraved boxwood woodblocks. The original engraved block is on the left and the reversed, printed 'electro' version from Alice's Adventures in Wonderland is on the right. In the 19th century the Dalziel brothers were chosen to engrave Sir John Tenniel’s drawings for Lewis Carroll’s Alice’s Adventures in Wonderland and Through the Looking-Glass. Boxwood was used as it’s hard and can withstand several thousand impressions, but after that the block is too worn. However, Victorian illustrated books flourished with the help of a new commercial process called ‘electrotype’ which enabled metal copies to be made of the original woodblock, allowing for far greater print runs, albeit a little of the original detail would have been lost. If you're interested here's a good blog post on the Alice illustrations. Looking at the wood block above you can see how the engraver carved lines to create shape, texture, light and shade. Hatched lines are closer together where darker shading is needed. Deeper, wider lines give more emphasis. We're now In the 21st century and have digital printing so in theory wood engraving/electrotype isn’t vital for illustrations in large runs of printed books. Even so, this distinctive form of illustration has unique individual characteristics and a few illustrators still use this time-consuming method, including the award-winning John Lawrence (more on him later). American illustrator, Mary Azarian, uses a method called woodcut. It's similar to engraving but woodcuts use the side grain and incorporate the natural grain and pattern of the wood, whilst wood engraving is finer and uses the end-grain which has a closer texture. Mary Azarian handcolours her wood-cut prints, rather than producing multiple woodblocks for each separate colour. The colour is therefore rich, with more variation and tones. In many of the illustrations it's almost as though the lines of the carved wood act as an outline. Snowflake Bentley (1999 Caldecott Award) is one of many books illustrated by Mary Azarian. so for the moment I've concentrated on linocut. Not as easy as a potato-cut print, but softer to carve than wood and cheaper. Linocut is literally the carving of a sheet of ordinary hessian-backed lino. Manufacturers have also created new vinyl surfaces such as Softcut, Easy Carve and Japanese Vinyl (see image below). Linocut does not have the esteemed heritage of wood engraving, but is a 20th-century development that uses the same tools and techniques. The principles of cutting are similar, although the lines aren't quite as fine as wood engraving as lino is less robust. One of my simple linocuts (Japanese vinyl) being inked. It won't only be shades of pink! A large printing press applies even pressure to the linocut. It can also be done by hand, though applying enough pressure can be tricky. One contemporary illustrator who has used linocut in her four picture books is Kazuno Kohara. 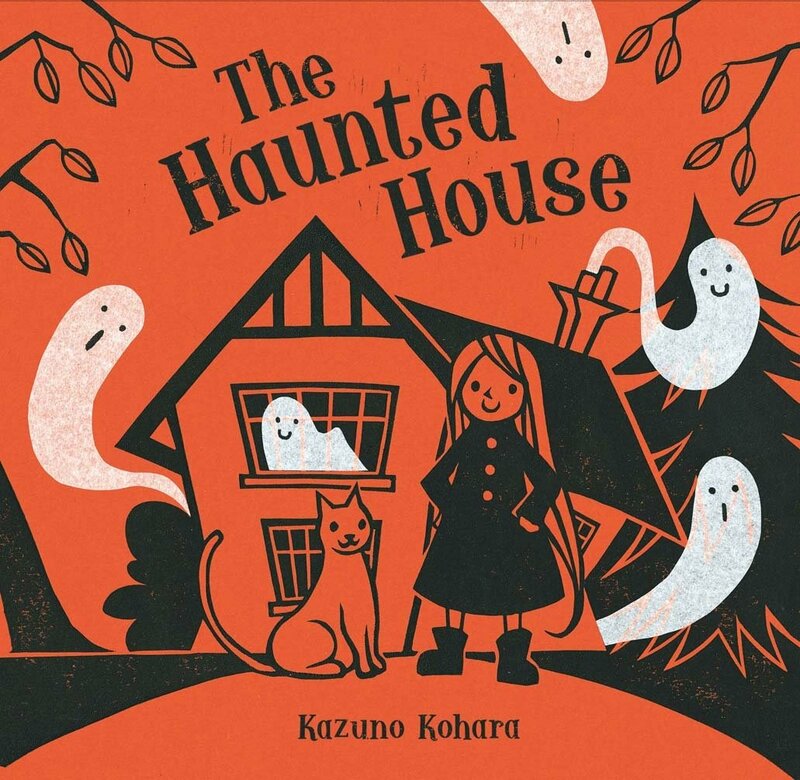 Her first book is still my favourite, The Haunted House, as it combines deceptively simple illustrations with a delightful, fun story. 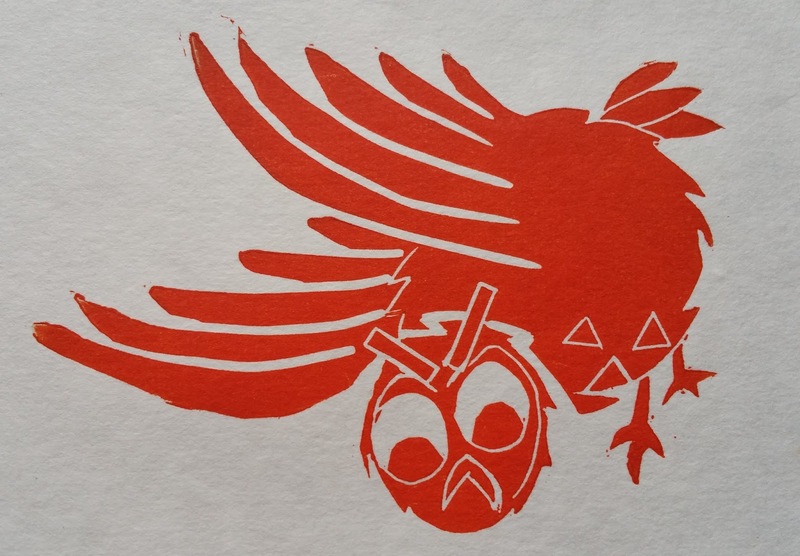 With bold simplicity, Kohara’s linocut illustrations use black ink on orange paper. The white ghosts may well be white tissue paper (a process called chine-collé) - I'm guessing! Guessing how an illustration is produced can be fun. Some of the lino cutaway tool marks can be seen on the pages as flecks of black ink and this adds to the handmade feel of the artwork. 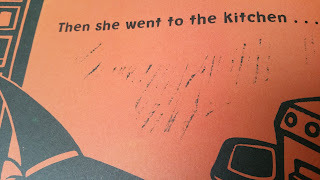 In later books Kohara has removed these marks for a cleaner image and I suspect this may be because if you don't know the reason for the black marks you might think they were a printing error, rather than an interesting part of the print that many linocutters deliberately leave. Tool marks in the cutaway areas of lino. 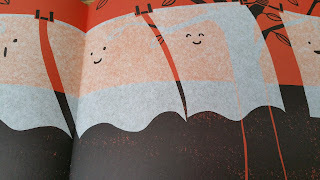 I also like the occasional use of thin ink, so the orange paper peeps through, as this gives texture to the page. 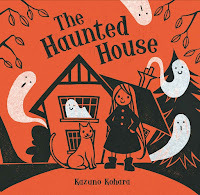 by Kazuno Korhara, Macmillan, 2009. I adore the simple illustrations. of the lino, which gives an effective smudged appearance. So Kazuno Kohara has taken a traditional method of relief printing and produced stylistic illustrations that are contemporary whilst having identifiable linocut characteristics. Earlier I mentioned John Lawrence. He's an acclaimed illustrator and wood engraver who also uses linocut in his children's picture books. His engraved illustrations are more traditional in appearance and make excellent use of the properties of relief printing. There's a wide variety of patterns, lines and shapes, and colour too. John Lawrence has contributed to over 200 books, including Lyra's Oxford (Philip Pullman). 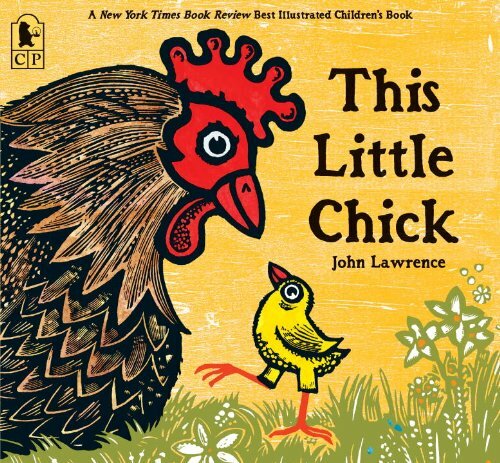 For many of his later picture books, including This Little Chick, he has preferred to use vinyl (linocut). There's a Guardian article here which includes an interview that mentions a vinyl sheet might cost 50p, whilst a much smaller piece of boxwood costs over £100. Plus vinyl is very much easier to carve, especially if you're going for bold lines rather than intricate engraving. giving attractive texture and vitality. Each white line is a tool mark, digging into the vinyl/lino. 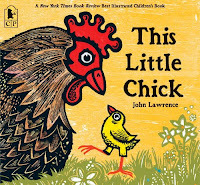 After having assumed Lawrence's illustrations were all traditionally produced, I've just read that some of his picture books, including The Little Chick, Tiny's Big Adventure and Seahorse use Lawrence's traditional vinyl/linocut prints and then digitally play with them to form collages and add texture and colour. This makes sense as I did wonder at the colourful complexity of some pages - in relief printing you need to apply each coloured ink as a separate block. Therefore here's an illustrator and printmaker who has retained the original qualities of wood engraving and linocut, whilst using a computer to scan the prints and then play with them on the page. This allows new designs, complexity and flexibility. The flexibility is very important as editors frequently need changes. One illustrator who didn't have access to computers in the 1960s was Farshid Mesghali. This Iranian-born artist inspired me with his illustrations for the award-winning The Little Black Fish. First published in the late sixties, Mesghali used linocut prints, often printed over what I assume is a background monoprint. (A monoprint as a one-off image where paper is laid over worked ink or impressions are made on the back of the paper that lays over ink - it's a very spontaneous form of printing, favoured by artists.) Personally I adore the swathes of textured ink of the monoprint that contrasts with the bold patterns of the linocut prints. This was exactly what I'd been thinking about for my own picture book illustrations. 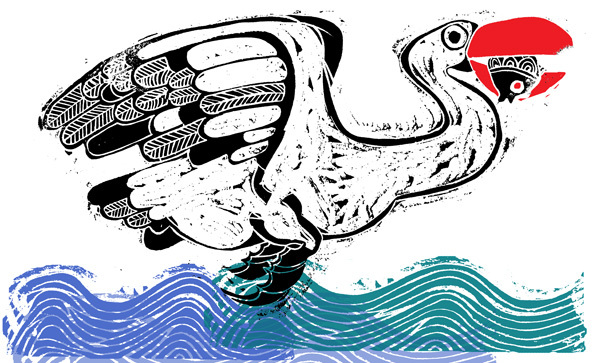 I really feel Mesghali has used the intrinsic properties of linocut prints in this seagull illustration. There's a handmade vibe from the tool marks that also add texture and movement. 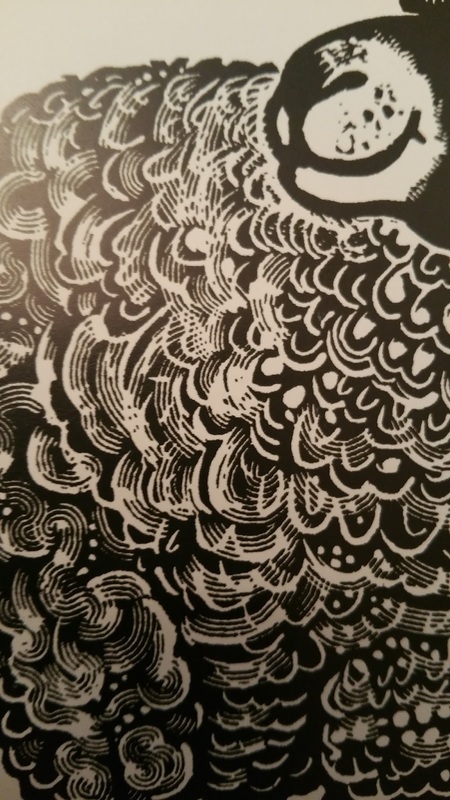 The overprinting of the waves and seagull's feet give an impression of turbulence. The limited colours from separate linoblocks allow the red beak to shout 'danger'and draw our attention to the fish eye. As I'm not always a fan of excessively detailed prints, I like the way a visual impact is made with just a few detailed feathers. Another illustration from The Little Black Fish. 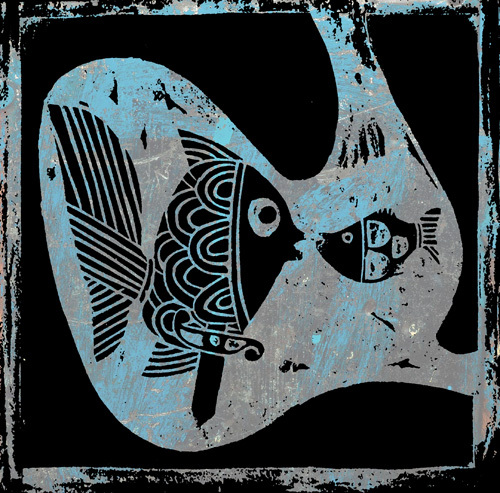 This time the linocut fish are inside the seagull's stomach. The effectiveness of the background monoprint can be seen. I wonder if Mesghali would have used digital options too if they'd been available in the 1960s? With my own prints I've been concentrating on using only traditional techniques, mainly because digital manipulation is discouraged on the course I'm doing. 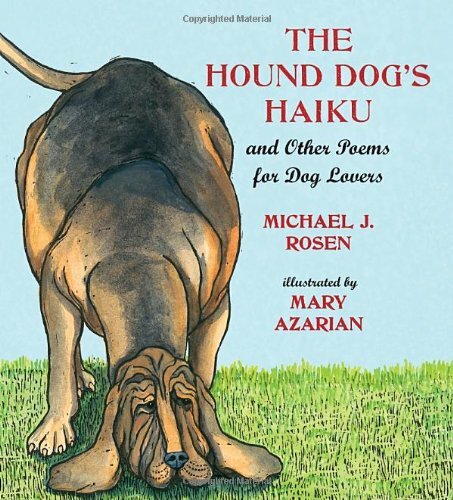 However, there are more design options available with the use of computers and most picture book readers are only concerned that the illustration looks good. Also, if one mistake is made or an editor asks for a change, then a new linoblock or woodblock would need to be carved. For example, my embarrassingly amateur diving owl looks too angry and there are errors. Therefore, although I've carved a second block for an additional colour, it'll all need to be dumped, which is quite time consuming. 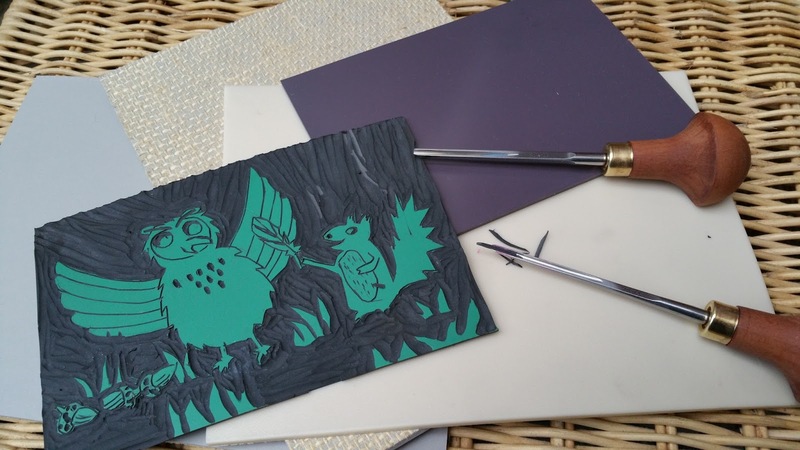 Relief printing doesn't have to only include wood or lino. Foam, card and polystyrene pizza bases are all options. Sometimes they're just the catalyst for an illustration. 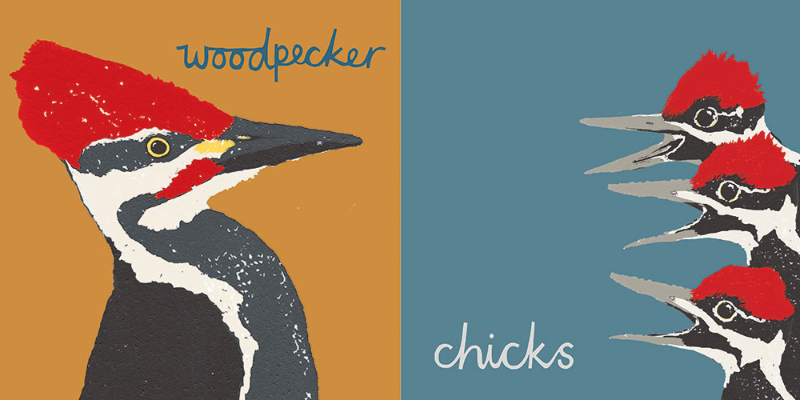 "My children’s book illustrations have evolved out of my love of printmaking, an obsession with a less-is-more aesthetic and a bold, but sometimes restricted colour palette. Although I work primarily in Photoshop, I always begin with a traditional print, drawing or even just a printed texture. It is important to me that my final work, although digital, retains a hand-made aesthetic. I also love to create typography from traditional wooden letterpress as well as cut-paper." Julia Groves: Ink is applied to a relief block and printed in black. The print is then scanned and coloured digitally in separate layers in Photoshop. "I've discovered that traditional methods of printmaking can be both time-consuming and frustrating, but there is a wonderful sense of achievement in the hand-made. The combination of traditional and digital works well for me and allows me the freedom to change a colour at the press of a button, whilst retaining a sense of the origins of printmaking. 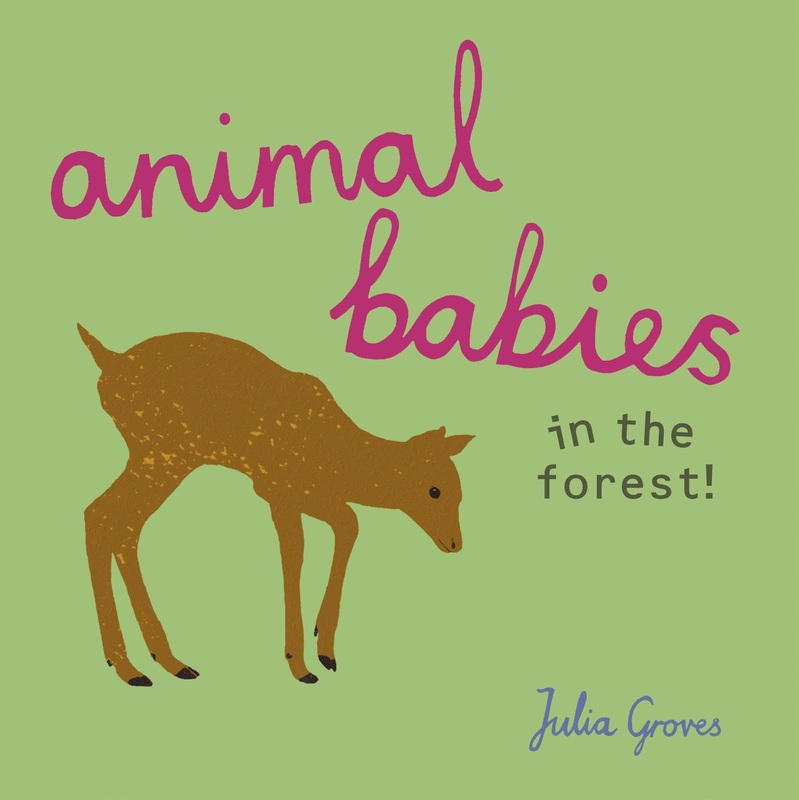 The main advantages of creating illustrations digitally for children’s books are that they are easy to amend and ready for publishing, unlike original artworks which need to be delivered and scanned before printing." All the illustrators in this blog post have different styles, whilst managing to incorporate traditional relief printmaking techniques. The process of printmaking seems to inspire their art and nowadays that is what's important, not the ability to make multiple prints of the same image (though that's useful for selling prints at galleries!). So I'll continue with my printmaking course and I won't totally give up my 'not-so-brilliant' idea of illustrating one of my picture book texts (maybe purely for my own pleasure?!). By the way, please don't be shy about letting me know other children's picture-book illustrators who use relief printing, or any form of traditional printing as I'm also interested in screen printing, etching, etc. Thanks! What a fantastic run-down of techniques and children's illustrator examples! Well done Paeony :) Are you studying at that place off Magdalen Street? I was very tempted last year, maybe this year I'll give it a go! Thanks, John :-) The blog post is much longer than anticipated, despite my not including other forms of traditional print making - being a picture book author I should know better than to waffle on so much! You might be thinking of ‘Print to the People’ on Pitt Street in Norwich. I had a fun gelli printing day there. 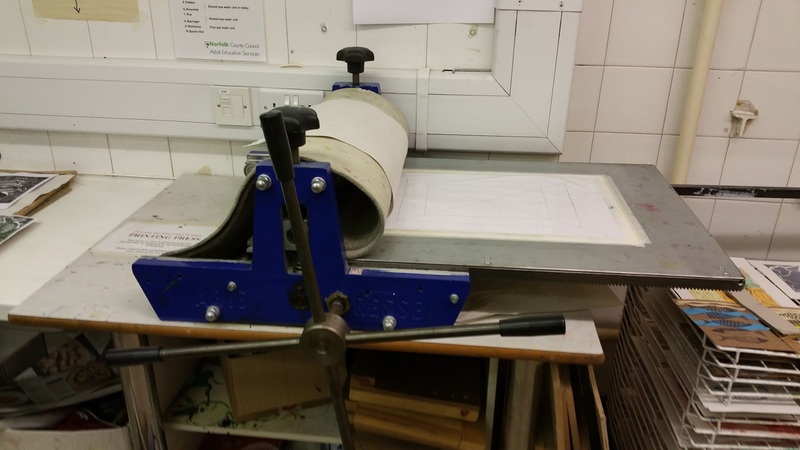 However, my year-long evening print-making course is at Wensum Lodge. I've really enjoyed discovering about print making - I never realised there was so much to it. Go on, get back into printmaking! Thank you, Paeony - there are certainly some wonderful books here that I must now explore further. Here in Australia, Narelle Oliver (unfortunately now deceased) specialised in illustrating with linocuts as a Google image search will reveal, and her books won many awards. Artists' books can sell for thousands of dollars each and, as an author and occasional printmaker myself using etching and lino, I have wondered if the financial return from a small limited edition that includes signed prints would be greater than having the work traditionally published. Great to hear from you, Peter. Narelle Oliver is new to me and the cover of 'Fox and Fine Feathers' (linocut?) is especially lovely. Thanks so much for sharing. I agree that artists' books can work particularly well with traditional printing and there's an annual exhibition ('Turn the Page') in Norwich (UK), although the books aren't massively expensive and I always buy one or two (avoiding the ones with attractive illustrations but bad poetry). It's something I too have thought of doing but I'm not sure about the marketing. I don't know the very expensive artist's books, but that's because I don't have thousands of pounds to spend! By the way, I really liked your Apple Crumble book binding. Wow, what a thought-provoking piece, Paeony, thank you! I loved seeing how the old and new can work together. I definitely think it's worth exploring how new technology can help to bring out traditional drawing and crafting. Thanks so much, Natascha. It looks like I need to return to Photoshop, but I wish it didn't cost so much. I also wish it didn't do my head in! Great post, Paeony - really fascinating to see all the different applications for printmaking techniques. I think a mixture of handmade and digital is a great way to go - although you do have to master two skill sets rather than one! Many thanks, Nick. I wish I'd had the blog space to fit in all the other forms of traditional printmaking. And you're right about having to master two sets of skills - life can get so complicated!